Back to the creative side for a day. Pencil Anti Dumping Duties: Are Changes in the Air? This post continues a series of Timberlines articles discussing the impact various world trade issues and practices have upon the Pencil Industry. In my previous Primer on Pencil Anti-Dumping duties I covered the basic aspects and issues involved with Anti-dumping duties here in the U.S. against Chinese pencils. As previously noted pencil imports to the US have steadily increased over the past 15 years despite the anti-dumping duties in place for the past 10 years. So what’s new afoot in the world of US Pencil anti-dumping Vis a Vis China? In fact there are three main areas of current activity. First, the U.S. Department of Commerce has just published the amended final results of its 8th review which covers pencil imports from China during the period from December 1, 2002 through November 30, 2003. Most notable in this review was the virtual elimination of anti-dumping duty on imports from China First Pencil Co., Ltd. & Shanghai Three Star Stationary Industry Corp. Previously these companies which share a common dumping margin rate had a 15.2 % dumping margin rate established during the 7th Review. The amended final result now drops this to 0.15%. Meanwhile, Shandong Rongxin Import & Export Co, Ltd. achieved a reduction from 27.87% to 22.63% and Orient International Holding Shanghai Foreign Trade Co., Ltd. has had their dumping margin. The China wide rate for other manufactures/exporters remained at 114.9%. But is final, final? This result was quickly challenged by a group of US producers who have filed an appeal with the Court of International Trade. As China First and Shanghai Three Star together account for the largest Chinese production and importation of pencils to the US the virtual elimination of anti-dumping duties going forward on their pencils could have a significant impact on US imports. Of course, China First has been increasing export prices over the past few years and as such it’s calculated dumping margins might be expected to come down. Also recent decisions by the Chinese government to move towards floating the Yuan have resulted in a 2% revaluation along with other inflationary factors in the raw materials arena might indicate that at least some of the reduced dumping margins are likely to be offset by further export price increases on Chinese pencils as we look towards 2006 and beyond. The second important development is that the Anti-Dumping Order against cased pencils from Peoples Republic of China is currently undergoing its 2nd 5 year Sunset review. This review is conducted by the US International Trade Commission (ITC) which originally put the duties in place ever five years to determine the continuing need or not for anti dumping duties. In the recent “Domestic Producers Response to Notification of Institution” of the review the US producers argue the following key effect of imports if the duty were to be revoked. The Domestic Industry has asked for an expedited review. The deadline for comments by Chinese or other interests that would wish to see the pencil dumping duty revoked is September 13, 2005. 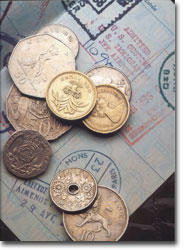 Determination of full or expedited rule is expected by October 3, 2005. The Final issue currently under consideration by the Department of Commerce for all anti-dumping orders regarding China is whether to change from current Non-Market Economy (NME) treatment on certain value of production factors to Market Economy status. This is essentially a determination of methodology used to value production inputs purchased from a market economy country. Currently, the DOC uses NME methodologies for all inputs on pencils produced in China whether the materials all come from China which is considered a NME or not. The Department now proposes to use market economy prices for all of the input if the existing tests for such use is met and if the majority of the input is purchased from a market economy country. Any comments are due by September 6th. The next post in this series will cover key trade practices and policies in China that impact the pencil industry globally. http://calcedar.com/wp-content/uploads/2005/08/Locking-China.jpg 213 320 WoodChuck http://calcedar.com/wp-content/uploads/2017/02/logo.png WoodChuck2005-08-29 18:29:002017-02-23 18:04:56Pencil Anti Dumping Duties: Are Changes in the Air? The following is the first of a series of Timberlines articles to be posted in the coming weeks discussing the impact various world trade issues and practices have upon the Pencil Industry. Import and export duties, value added taxes, export credits or export VAT rebates, fixed currency exchange rates are all examples of factors that impact trade flows around the world. Such meddling with what “free market thinkers” would call free and unrestricted trade is a common practice from nation to nation. Certainly the World Trade Organization and other regional trading block agreements such as NAFTA, various EU agreements, APEC, ASEAN and MERCOSUR work to liberalize such trade barriers worldwide. However, there is clearly a level of relative national and regional competitive advantage to be gained when countries set their policies regarding these market influencing instruments. Often the duty policies of one or more countries for given products are set as retaliation for or to correct perceived unfair trade practices of another particular country. The pencil industry is no exception to this situation and a number of these market “interventions” or “correction factors” (depending upon where you come out on the free trade scale) exist within our industry. Today’s topic of anti-dumping duties is just one such example. Currently, several countries worldwide have implemented incremental Anti-Dumping duties specifically placed upon imported Chinese pencils as a result of lobbying from local pencil manufacturer groups. These anti-dumping duties are imposed over and above any normal import duty pencils may be subject to. Among such countries with Anti-Dumping duties are the United States, Mexico and Turkey. I expect there may be some others of which I am not currently aware. For these three countries, anti-dumping duties range from just over 100% to over 400% of the invoice value of the pencils. Here in the US the current country wide anti-dumping deposit rate for pencils exported from China to the USA is 114.9%. The importer of record is required to “deposit” funds into an escrow type account upon importation of the pencils. This rate is applicable to all imported Chinese pencils, unless a specific Chinese exporter/producer has gone through an administrative review process with the U.S. Department of Commerce (DOC) to have their company audited for a reduced rate. However, this is an expensive and very complicated audit process and as such not many Chinese companies pursue reduced dumping margin rates. Currently, four Chinese entities or combined manufacturer/export company groups (including our own subsidiary facility) have received reduced dumping deposit rates ranging from 0% (ours) to around 23%. In effect these companies have demonstrated that they are not dumping pencils or should not be at the China-wide rate for the most recently reviewed period. Under DOC rules the country wide rate is set by the highest rate determined for any given Chinese company that ever requested a review by DOC. As such the original rate of around 53% was increased to the current 114.9% level a few years back. These reviews are conducted annually for a full year of shipments upon the request of the original plaintiffs, a group of US manufacturers. Should the DOC find during a review that the dumping deposit rate should be lower or higher for that period for a given Chinese exporter/producer then deposited funds are either refunded to the importer or additional funds are paid by the importer. As such the importer takes a certain risk when deciding to import from a Chinese supplier as the rate could increase and be left with the requirement to pay additional duties at a later date. Once the rate changes the new rate becomes effective for all future shipments. As it generally takes about 18-22 months to complete the review process and determine and clear the final figures remaining in deposited “escrow” fund, these risks are certainly increased for importers should the rate eventually increase. Under a U.S. law named the Byrd Amendment, the final amounts in the cleared escrow fund are distributed to the original petitioner companies in the applicable industry. The relative refunds are again determined according to another complicated formula and calculation. In effect, the US pencil industry (and many other industries) is reimbursed for damages resulting from low priced imports that are deemed to have been sold at dumping prices. As such implementing anti-dumping duties has become a bit of a “growth industry” here in the US as more industry groups react to the incursion into the US market by Chinese and other foreign competitors. This is a controversial rule which has been deemed illegal by the WTO, but is fraught with obvious landmines for any politician in the US who would propose repeal of the Byrd Amendment. Even with these high dumping deposit rates, most low end commodity pencils imported from China are cheaper than US produced products. This is demonstrated by the fact that Chinese pencils imports have continued to grow over the past 9 years that anti-dumping duties have been placed on pencils. Of course in our view you get what you pay for and there is no doubt that the average quality of pencils consumed in the US has declined over the past decade. Clearly there are a number of market inefficiencies or inappropriate incentives created by implementation of high anti-dumping duties. The Byrd amendment policy previously mentioned. Also some Chinese companies attempt to avoid the dumping duties through the practices of transshipment via a third country not subject to the duties and/or by purposely mis-labeling the country of origin for the pencils. Both are illegal practices under international trade rules, but can be difficult to detect and requires domestic producers to be vigilant as to what’s going on in the market place given all the challenges our Customs and Homeland Security department face from other fronts these days. Pencil Anti-Dumping Duties: Are Changes in the Air? Given my family history in the in the pencil industry it’s not too surprising I tend to have a wide selection of pencils stashed in desks, drawers, closets and cabinets around my house, my office and even the car. A few years back when redecorating my home office I spent some time actually going through pencils that had accumulated over the years. Some even dated to my childhood that found their from that of my parents when an old desk and group of boxes were delivered as part of their own cleanout process. Among the clutter there were indeed a few gems from a collecting standpoint. Since that time I have become increasingly interested though not always too active in broadening and expanding my collection. This collection includes not just pencils themselves but old advertising materials I feel have some of historical or design interest. A few my own personal pencil favorites relate to our family heritage within the industry dating back to the 19th century with the Berolzheimer und Ilfelder and the early 20th century from the Eagle Pencil Company. The Eagle Diagraph pencils shown here have a very interesting knurled effect in that they were rolled in a steel die which imprinted the surface to provide this interesting texture in order to improve grip. The compass is one of my favorites due to the detailed design in the metal work. For more views of various Eagle brand pencils visit the Pencil Images Gallery at Doug Martin’s Pencil Pages. 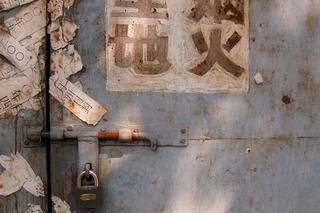 His site is the most extensive online respurce dedicated to collectors. Pencils are of course considered collectables by children and adults alike. People specialize within their collections in all sorts of forms such as advertising pencils, old brands and their transitions and developments throughout the years, coloring pencils, carpenter pencils, cosmetic pencils, etc. In Japan, a few years back a few producers even developed a series of “game” pencils decorated with popular cartoon characters with each side of the hexagonal pencil representing a different outcome when the pencil was rolled. Children battle it out on pencil rolls for the fate of their game character pencils. So what gems might you have stashed away in a drawer somewhere? We’re a Proud Bunch: Who’s Got the Biggest Pencil? Those of us in the pencil industry are all quite proud of the origins and traditions of our companies. Many of us like to tell our historical tale of product innovation and organizational development. A number of us even claim to have produced the world’s “___est” pencil. Pick your adjective. But where does one go for a good insight into the overall industry history?Henry Petroski’s “The Pencil: A History of Design and Circumstance” is considered to be the most definitive history of the development of our industry. Many insiders however view a few facts pertaining to their own company history as not fully accurate. Some may even contest some of Petroski’s statements regarding which company first achieved various technical developments.To be sure there is plenty of interesting history in our industry. Given the age of many of the companies even some of the factories may be considered museums or museum like. So here are a few historical references for your perusal. Perhaps the most elaborate company historical presentation in our industry, the Cumberland Pencil Museum established by The Cumberland Pencil Company sits next door to their manufacturing facility located in Keswick, Cumbria, England. Here the Cumberland Graphite story is told beginning with the discovery and development of the famous Borrowdale graphite mines. 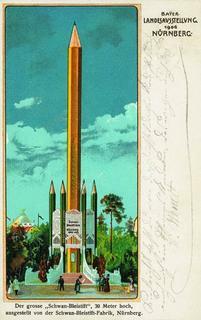 Of course one of the museums key features is their “Worlds Longest Pencil” unveiled in 2001 at 25 feet 11-1/2 inches. Many companies in the industry have a tale of growth characterized by merger and acquisition of other pencil manufacturers as well as of other writing instruments and art supply businesses in order to expand the product range. One of the leading examples of such development is Dixon Ticonderoga Company which a few years back published its history entitled “The Best of It’s Kind”. During a visit to their Versailles, MO facility some years back I saw their project to produce another world’s “___est” pencil, a giant Ticonderoga. We even supplied Dixon with super-sized Incense-cedar timbers for this effort, though I don’t have the final pencil dimensions available. Among US pencil manufacturers just two company’s with production history pre-dating 1920 still trace current ownership to descendants of company founders. 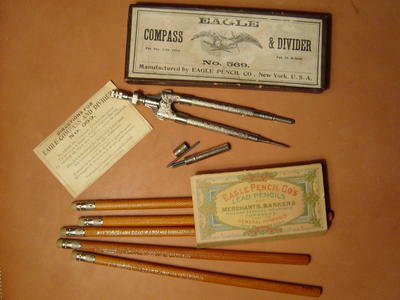 The Musgrave Pencil Company history typifies the early development and concentration of pencil manufacturers in middle Tennessee. Here much of the US industry located in order to attain supplies of Eastern Red Cedar which was the preferred pencil wood early in the 20th century. A number of US factories were originally established by immigrants from the German pencil industry culuster around Nuremburg. General Pencil Company reflects the last remaining US pencil producer with current ownership still related to the original German founder. To my knowledge neither of these companies has ever attempted to produce a Worlds “___est” pencil, though they both know how to make very good pencils. Faber-Castell has a significant history in the pencil industry and has several entries in the competition for the Worlds “___est” pencil. A Grip 2001 measuring 12 meters is displayed at the company’s headquarters in Stein, Germany. Not to be outdone Faber-Castell’s Malaysian subsidiary has the Guinness Book of World Records certification achieved in Novemer 2002 for the World’s “Longest” Pencil at 19.75 meters. Schwan Stabilo Group’s 150 Years of History represents perhaps one of the more interesting web based company history presentations for its multidimensional timeline covering History, People, Writing Products and Cosmetic Products. 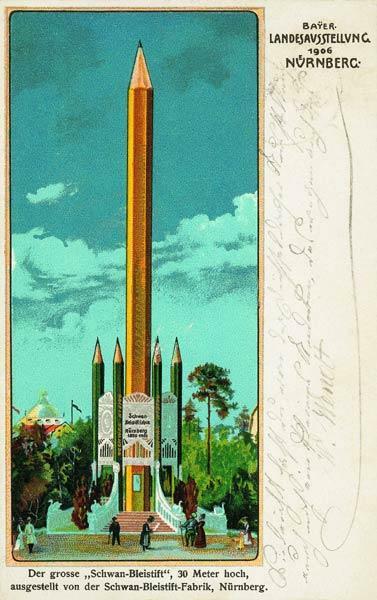 And of course, you guessed it, Schwan claims to have produced the Worlds “Tallest” Pencil coming in at 30 meters for the 1906 Bavarian State Exhibition (shown above). How this one got overlooked by all the recent pretenders is a mystery, though it’s uncertain if this monster was truly capable of writing with a graphite core as the others all have. So perhaps this record needs to have an asterisk attached. Finally, we have our own historical archives and historical display at California Cedar Products Company which provides much detail on our pencil slat history. While we do claim to be the worlds leading pencil slat manufacturer and we do make a few pencils, we have never attempted to produce our own World’s “___est” pencil. I’m guessing a little more research may be in order before ever attempting such a feat. http://calcedar.com/wp-content/uploads/2005/08/Scwhans-Tallest-Pencil1.jpg 320 201 WoodChuck http://calcedar.com/wp-content/uploads/2017/02/logo.png WoodChuck2005-08-17 04:14:002017-02-23 18:04:56We're a Proud Bunch: Who's Got the Biggest Pencil? We make them, but how do we use them? As a participant in the writing instrument industry I suppose I like many of us get caught up in the day to day business of making and selling pencils, pens, markers, various components, etc. We focus daily on the details of communicating with and understanding the needs of our customers; analyzing and improving costs and quality, planning and keeping up with growth trends by market segment and assessing our competitors. Many even have made detailed efforts to better understand the actual use of our products from the perspective of the artist, the student, the office worker, the carpenter, perhaps even the Astronaut. Collectively as an industry we know everything there is to know about making and selling pencils and pens. But how do we use pencils and pens ourselves? Do we see these simply as the products through which we make our living? Or is there a creative group among us actively using our own products for writing, journaling, drawing or some other means of self expression? As a multi generational family participant in the pencil industry I feel a strong personal affinity and tradition related to our company’s products and the role these products eventually play in allowing people to express themselves or contribute to the learning process. For my own part I have never considered myself to be a very artistic person. I have experimented with both journaling and drawing, though I cannot claim to be particularly talented or committed to regular practice of either. It’s usually something I’ll do during a vacation; writing in my fishing journal about that day’s adventure and inc luding a simple sketch. I find that it’s a relaxing and refreshing activity when I’m in a reflective mood in the evening. A couple years back given the encouragement and gift of drawing and sketching pencils from our good friends at General Pencil Company I once spent several days during our annual Christmas holiday on Little St. Simons Island trying my hand at sketching. 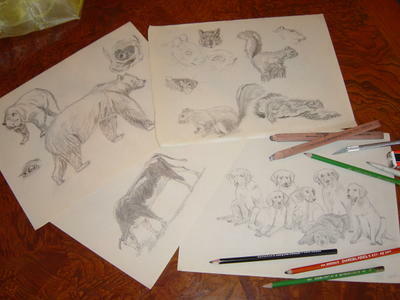 I worked from a book on how to draw animals and these are the photos of some of what came of that experiment. I tried a bit of color pencil drawing, but found that’s not yet within my capability. So what are your own creative efforts with pencil, pen or paint? Share a comment or e-mail me a digital photo of your own efforts and I’ll include it in a follow up post. If you don’t think your the artistic type you’ll never know unless you give it the effort. For a little inspiration visit General’s Art Gallery. http://calcedar.com/wp-content/uploads/2005/08/DSC07958.jpg 300 400 WoodChuck http://calcedar.com/wp-content/uploads/2017/02/logo.png WoodChuck2005-08-13 14:46:002017-02-23 18:04:57We make them, but how do we use them? The latest update to US import statistics for wood cased pencils support the growth trend experienced for some years now. Over the past 5 years through 2004 pencil imports into the US have increased at an average annual rate of 6.0% on a dollar value basis and of 7.8% on a unit volume basis. This is reflects an average annual reduction of 1.8% in import prices over this period. In total 2004 unit volume imports were 17.6 million gross (this 2.5 billion pieces for the year or almost 9 pencils per capita). Our own estimates indicate that imported pencils now represent approximately two-thirds of the total US annual consumption on a unit volume basis. We estimate that the share of US manufactured pencils has dropped from around 50% of the market just three or four years ago. Given net higher average average wholesale prices of US based production the dollar market share of imports is certainly less than that of import unit volume share. Of course a number of the US producers are also selling imported pencils or also adding further manufactured value to imports of semi-finished product so the US producers total share of US consumption is not quite as bleak as indicated purely by the import statistics. Also total wood cased pencil consumption does seem to be on the rise overall and 2005 is shaping up to be a good year, though the specific growth rate year on year is a bit more of a challenge to accurately analyze. Regardless, the continuing challenges to US based pencil manufacturing remain clear. Looking at 2005, the Year-to-Date May figures are up just 1.6% on a dollar value basis and an astounding 21.0% in unit volume vs. the same period in 2004. This indicates a significant 12.8% average import price reduction year over year. If sustained through year end the percentage increase in volume would be the largest since 1996 and the reduction in average import prices year on year would be the largest ever. In 1997 there was an 11.3% reduction reflecting the largest single year price deflation of import pencils at the wholesale level. Another surprising aspect of import figures thus far in 2005 is the indication that the most significant import growth is not coming from China which traditionally has the largest share of imports to the US market. In fact YTD May Chinese pencil imports are off 10.4% on a volume basis. The main growth thus far in 2005 is driven by imports primarily from Costa Rica, Indonesia and Thailand and a few other countries in smaller proportion. Key countries with declining shipments to the US so far this year are China and Brazil. It is difficult to project such trends through the full year due to seasonal factors, the most notable being that distribution channels load up in the early part of the year to prepare for back-to-school shipments. So the final wood cased pencil import picture and trends by country may yet be different by year end. Other issues that may impact these trends this year or as we look forward to 2006 are the recent decision by China to allow the Yuan to float and changes in relative anti-dumping duty rates on Chinese imports for some manufacturers. See my upcomming discussion and update on anti-dumping and other pencil trade issues next week. What’s the Value of Pencil Certification? Today I participated in a conference call of the Pencil Section of the Writing Instruments Manufacturer’s Association (WIMA) of which CalCedar is a member. The purpose of the meeting was to discuss what efforts WIMA should make to increase awareness of the PMA Seal. 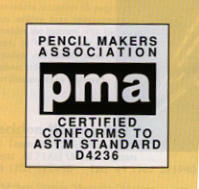 Pencils that have earned the PMA seal have been independently certified to be non-toxic and conform to the standards of ASTM D4236. This is a voluntary program in which we manufacturers submit our product components and finished products for third party testing to assure conformance to establish safety standards. Not all pencils sold in the US are PMA certified. In fact, most of the low cost competition from China and Indonesia do not participate in this program, though the Chinese industry does have it’s own quality standards program. Even some US producers have certain items which they do not certify due to the added cost. This doesn’t mean that non-certified pencils are unsafe, it simply means there is more of a possibility that a product may contain materials that could present some safety risk to users. 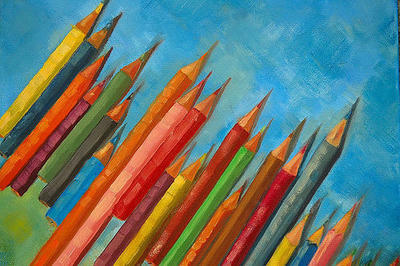 The pencil industry is highly competitive and there are extra costs to participation in and promotion of such programs. Many manufacturers voluntarily participate in these programs because they view there is some competitive advantage to doing so. But what do consumers and users of pencils and other products with similar certification programs think? Are you aware of such certifications when you purchase pencils? Are these certifications a factor in your purchase decision? What specific information related to certification of pencils would you consider most relevant to your purchase decision? Let’s hear both from pencil users and industry participants. http://calcedar.com/wp-content/uploads/2005/08/06seal111.jpg 189 199 WoodChuck http://calcedar.com/wp-content/uploads/2017/02/logo.png WoodChuck2005-08-08 21:48:002017-02-23 18:04:57What's the Value of Pencil Certification? Given the encouragement from those who seem to think I have something interesting or original to say now and then I have determined to launch myself forth into the blogosphere. Whether I’m just listening to a group of sycophants feeding my ego or there really will be some value to any of our employees, customers, friends and any other crazy people like me interested in wooden pencils, the pencil industry and any other deviations I might pursue with this adventure, is yet to be determined. The final impetus for me to get started was learning of the review our ForestChoice pencils had just received today on the Pencil Revolution blog. As it turns out we were also complementary catalysts for one another as Prevo’s decision to start his pencil blog was based upon whether or not we responded and sent him the sample pencils for his review. I have resurrected the Timberlines name for my blog from our old company newsletter which went the way of the dinosaur about the time we decided to publish our first company website and make it available as an adobe download. This old rag was in it’s earlier days published by our HR department (also now gone the way of the dinosaurs) and featured most notably a series of travelogues written by my grandfather Charles during his travels to visit our customers around the world. While I can’t say I’ll be as entertaining as the family patriarch my most recent overseas trip did include an interesting visit with the Iraqi Minister of Education. As I hope this will become an interchange with my readers I look forward to your comments to help keep me focused on what you find of interest.